Unfortunately, the hardest part of expressway driving is the very first thing a student must do: merge. 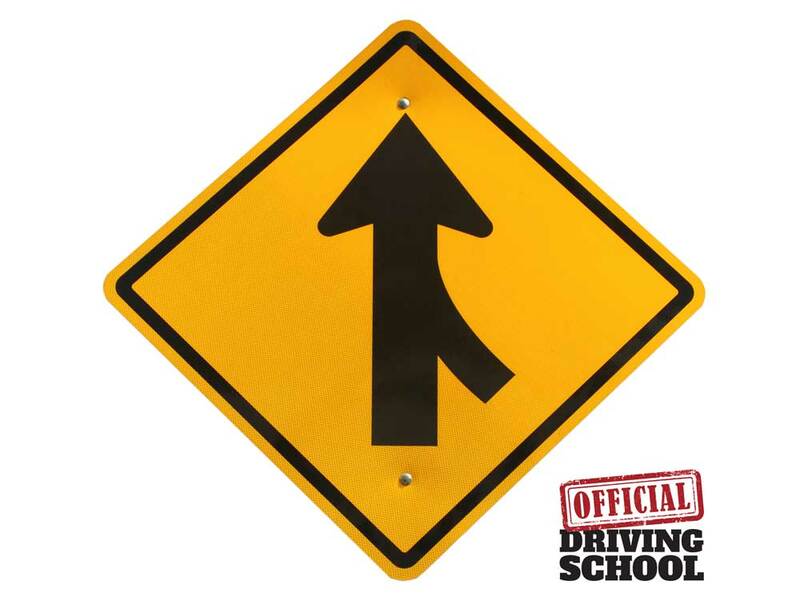 But with multiple practice entries, and instruction by Official Driving School, students can become proficient and confident at this initially intimidating maneuver. Simply put, an expressway merge is only a lane change, except the speed may be greater than a beginner is used to, and of course there is a limited amount of space for the lane change to be executed. Therefore, the expressway merge should not be attempted until a student is making proper lane changes consistently i.e. using mirrors, signaling, and checking blind spots. This way we know the student has the skill and timing to execute the merge. If possible, use a street or highway with a 45 to 55 mph speed limit to allow the student to practice lane changing at a comparable speed as an expressway merge. Explain the similarity to the students to help ease their anxiety about merging. As with all new maneuvers, it is best to explain thoroughly what is expected of the student well ahead time. Don’t wait until you are two-thirds down the entrance ramp to tell the student what they have to do. Once on the proper ramp, have the student signal their intentions early they will have enough to worry about once they get to the bottom of the ramp, and there are no options for turning elsewhere like on city streets. About half way down the ramp, a key step in this merging procedure is to have the student look over their left shoulder at the existing expressway traffic – that’s the traffic that concerns the driver. Of course, the traffic pattern may change by the time we reach the bottom of the ramp, but at least we can get a rough idea of what we have to contend with, and can begin planning our entry.